The unique solid-state sampling system and off-line analytical service from SAES Pure Gas have been developed to provide end-users of leading edge lithography and inspection/metrology equipment with a dedicated, simple, and reliable tool for optics purge gas certification. 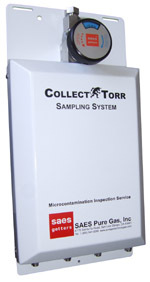 Utilizing solid-state traps the CollectTorr Sampling System can measure parts per trillion (pptV) levels of molecular acids, bases, refractory and organic contaminants. SAES Pure Gas analytical sampling, analysis and certification are compliant with lithography and inspection/ metrology tool optics warranty certification requirements. 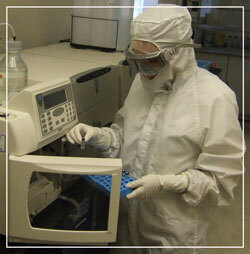 For cleanroom air analysis information here. 3. 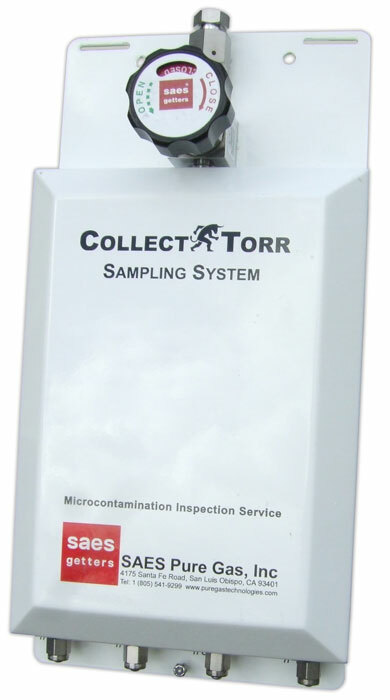 After sampling is complete send to SAES Pure Gas Analytical Department. 4. Analytical Certification Report delivered within 5 days. Based on 24 hours sampling, lower sensitivities can be acquired with longer sampling times.